In other words, attorneys have focused on merely keeping up with peers, not innovating and streamlining their practices. This faulty view is damaging the growth of firms and has resulted in lost revenue. Yet, an article from the American Bar Association centered on law firm payment trends–written just last year–shows this problem hasn’t been resolved. What Can Technology Do For Your Firm? Adopting technology within a practice can benefit attorneys, office staff and clients. But you shouldn’t sign on for software services on a whim. Be intentional about your purchase. Most attorneys find their top priorities are to take more cases and make more money to keep their practice strong. Finding the services that can accomplish these goals will raise your firm up without disrupting your caseload. Making documents easier to send and receive. Making it faster for clients and to provide a legal, wet signature. Providing simpler ways for clients to pay–such as adding payment links to digital invoices. The amount of information shared through google reviews, social media and other online sources has changed the way referrals can have an impact on a business. Using invoicing and signature software that makes the process simple for your clients will improve their experience. These amenities will turn into client referrals for your firm. Services to decrease late payment and non-payment – Invoicing software that encourages prompt payments is one of the easiest ways to boost monthly revenue. Finding a service that lets your office add payment links to a text or email invoice will capture more payments faster by making it easy for clients to pay. Lower operating costs – Digital signature and document delivery software reduces the cost of stamps, envelopes and paper. Going paperless with administrative services will lower what your office pays monthly for supplies. Streamline internal processes – Worrying about how the office operates isn’t the highest priority for many attorneys. But it can make your job easier in the long run. Adopting technology in your law firm that will help office staff interact with clients makes their jobs easier. That frees up time to focus on more important tasks. 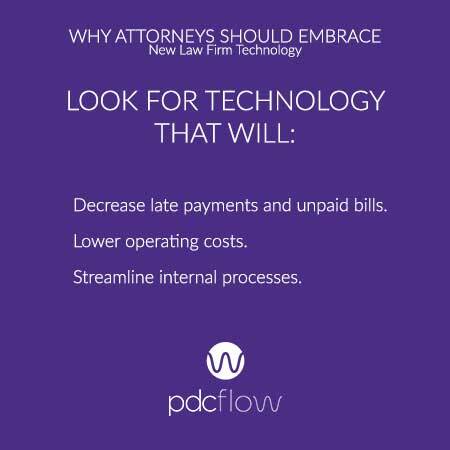 Of course, there are other considerations for attorneys looking to improve their law firms through technology. Here are a few more items to research that may help you choose solutions that will add value to your practice. Trust accounts – Consider software that allows money to be deposited into a trust account. Security and compliance – Look for a service that complies with Regulation E for electronic fund transfers and fulfills PCI compliance for credit card payments. Customer service – Research the customer service offered by technology companies. Be sure the services you adopt provide training on their software and allow you to speak to representatives any time you have questions. 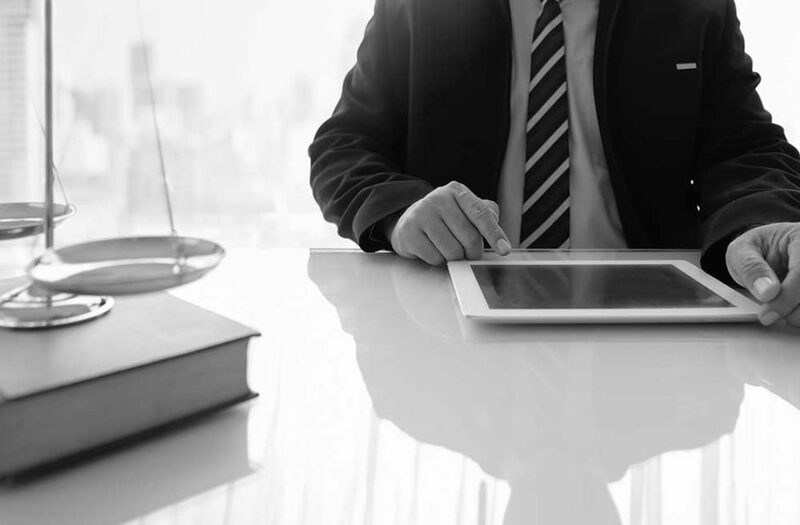 Your law firm should embrace technology if you want to grow. 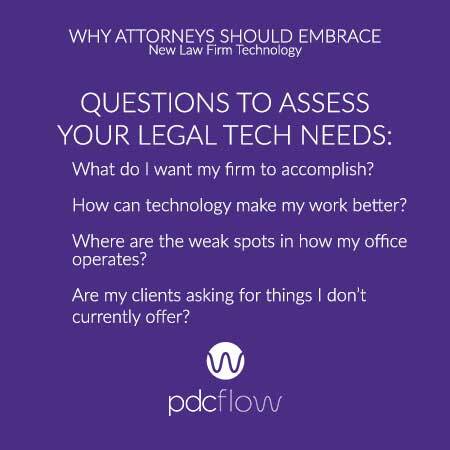 Download our law firm technology consideration checklist to point you in the right direction.